I’m not really a big fan of modern art. I fin it just too random, without any real though behind it. But I do have to say I quite like this one, even if it’s also just random. Still looks quite nice when it’s lit up. 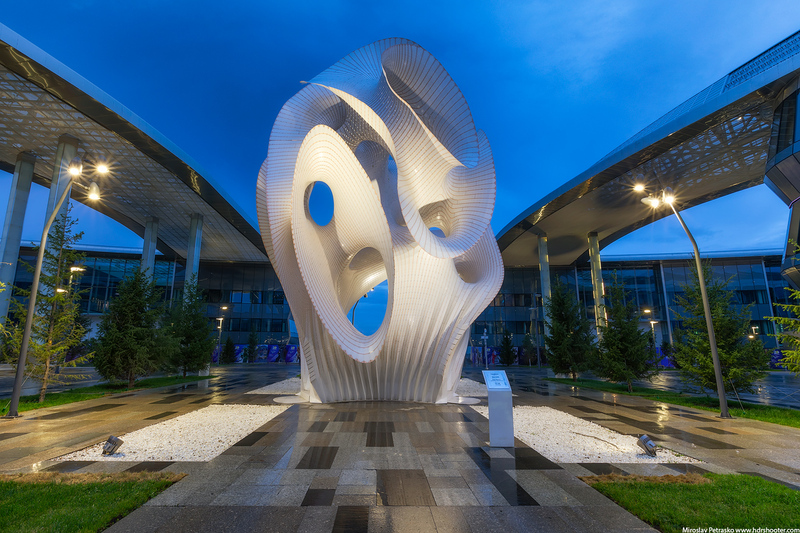 This abstract monument is a part of the EXPO 2017 area in Astana, right behind the sphere building. As you can see by the reflections, yes, it was raining when I took this photo. This is a three shot blend, edited in Ligtroom, finished in Photoshop.